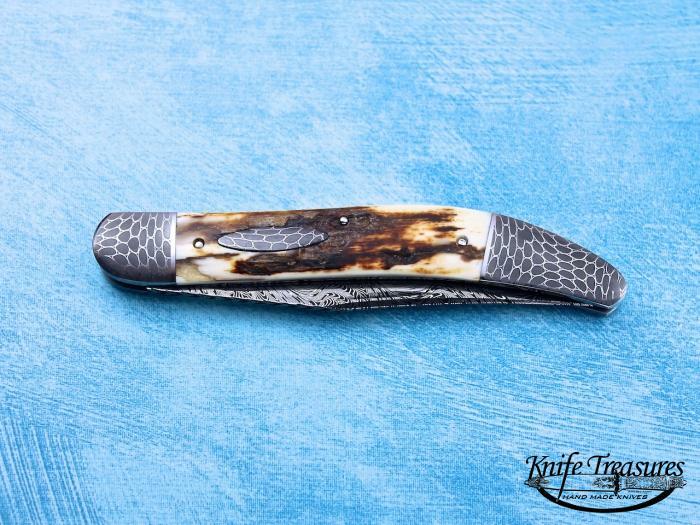 A Fantastic "Texas Toothpick" model by Bill Rupple. 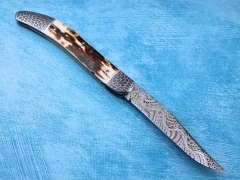 The Damascus on the Blade and Bolsters is just UNBELIEVABLE!! 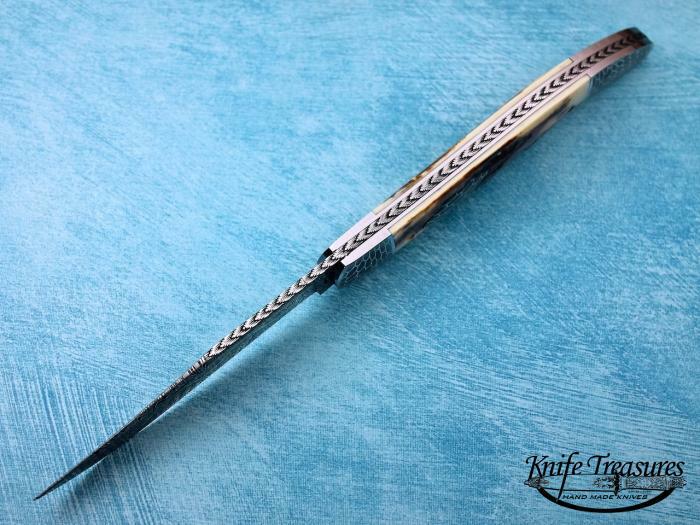 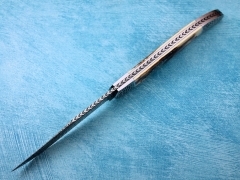 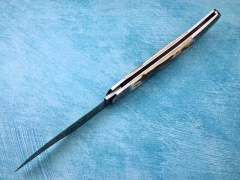 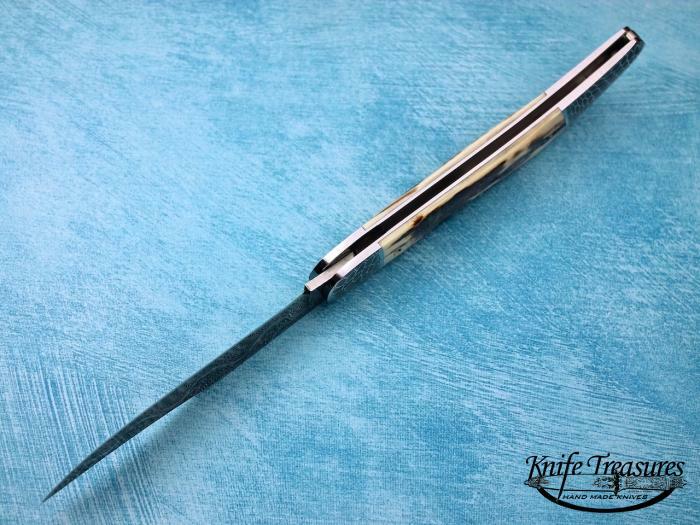 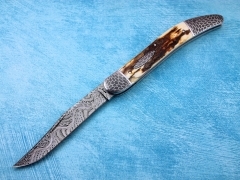 This is a great slip-joint by Bill and has some beautiful file-work on the spine and blade as well. 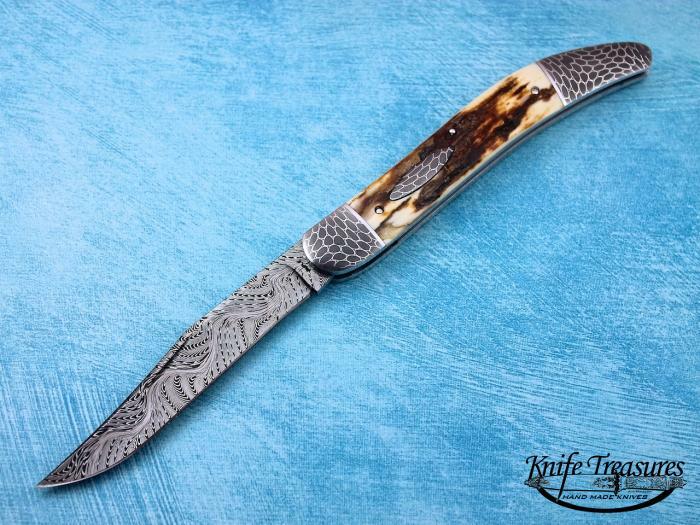 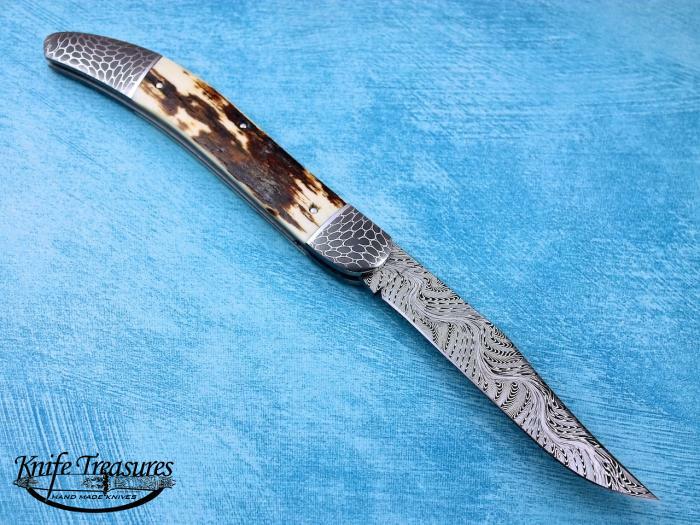 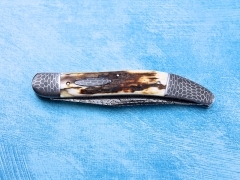 The Damascus on the Blade is by Bill Burke and it is called "River Of Fire" , the Damascus o the Bolsters and the shield is by Chris Marks and it is called "Wasps Nest Damascus" Both are personal friends of Bill Rupple.